Location: Comox, Vancouver Island, BC Canada. 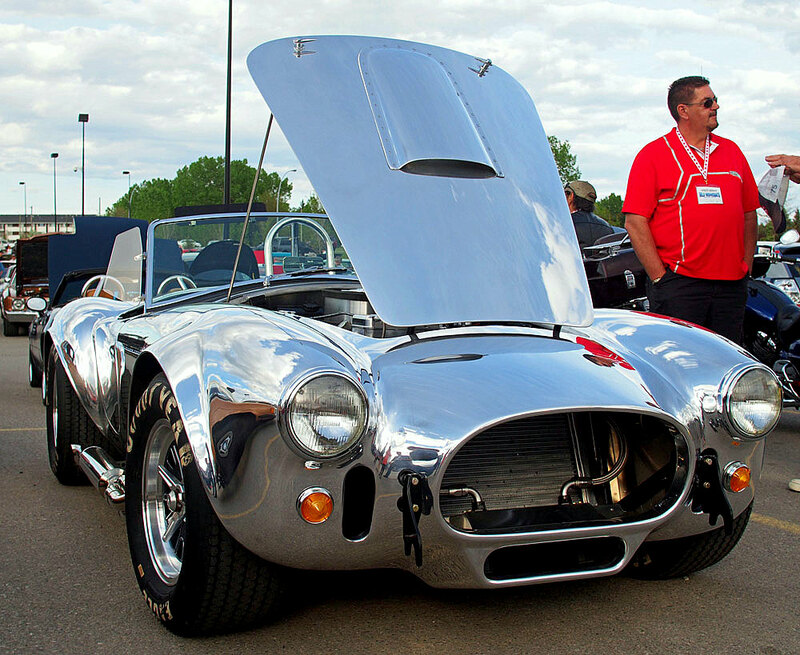 That is an incredible picture, of a gorgeous Shelby Cobra..
Like many British specialist manufacturers, AC Cars had been using the Bristol straight-6 engine in its small-volume production, including its AC Ace two-seater roadster. This had a hand-built body with a steel tube frame, and aluminium body panels that were made using English wheeling machines. The engine was a pre-World War II design of BMW which by the 1960s was considered dated. Bristol decided in 1961 to cease production of its engine and instead to use Chrysler 331 cu in (5.4 L) V8 engines. AC started using the 2.6 litre Ford Zephyr engine in its cars. In September 1961, Shelby airmailed AC a letter asking them if they would build him a car modified to accept a V8 engine. AC agreed, provided a suitable engine could be found. He first went to Chevrolet to see if they would provide him with engines, but not wanting to add competition to the Corvette they said no. Ford wanted a car that could compete with the Corvette and they happened to have a brand new thin-wall small-block engine which could be used in this endeavor. It was Ford's 260 in HiPo (4.2 L) engine – a new lightweight, thin-wall cast small-block V8 tuned for high performance. Ford provided Shelby with two engines. In January 1962 mechanics at AC Cars in Thames Ditton, Surrey fitted the prototype chassis CSX0001 with a 260 ci Ford V8 borrowed from Ford in the UK; the 221 ci was never sent. However, early engineering drawings were titled "AC Ace 3.6". After testing and modification, the engine and transmission were removed and the chassis was air-freighted to Shelby in Los Angeles on 2 February 1962. His team fitted it with an engine and transmission in less than eight hours at Dean Moon's shop in Santa Fe Springs, California, and began road-testing. Olympus 8000 (never used anymore, as I lost my data cable). i want one!!! always thought that AC body was one of the prettiest of all the British sports cars... the reflections would be hell on a bright sunny day, though!